Hoping to reduce my late-night smartphone use, I got a vintage alarm clock for next to my bed. 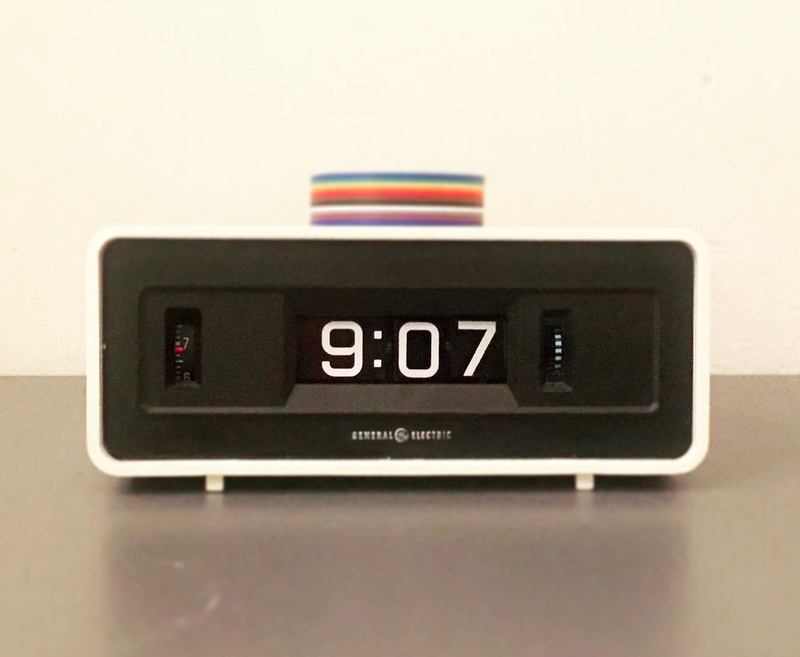 This beautiful mechanical flip clock has just one problem: a truly horrifying alarm sound. It’s no wonder what this clock isn’t being used anymore - it’s basically unusable as an alarm; it sound like a piece of metal crying out in anguish. It seemed like a terrible waste to cast it off complete, so I decided to replace the alarm sound with something better. 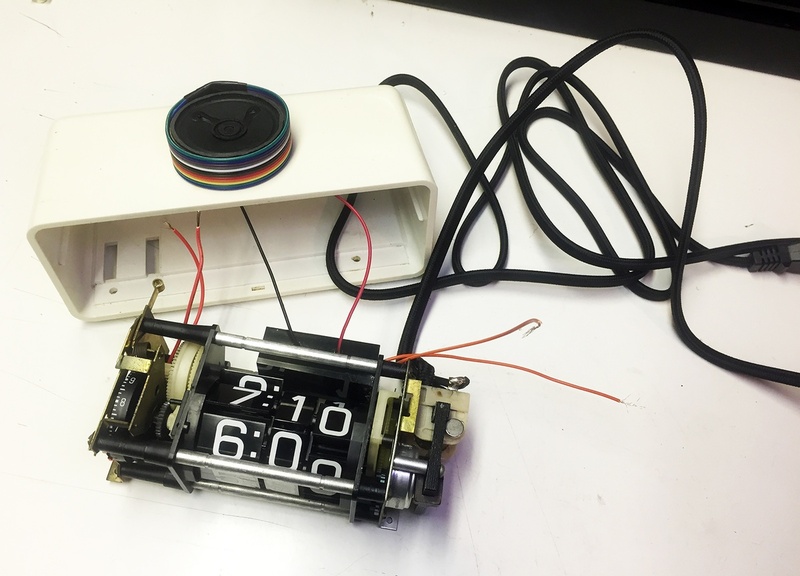 By intercepting the mechanical alarm mechanism with a magnet and reed switch, I am instead able to trigger a sound with a micro-controller. See the full tutorial on Instructables.